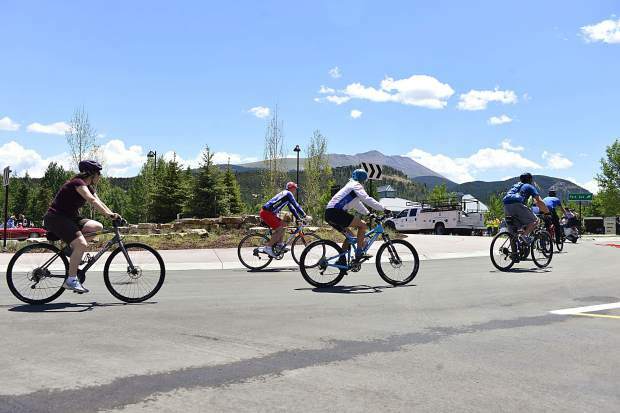 Bicycles were one of a number of different modes of transportation to take part in Fridayâs ribbon-cutting ceremony for a new roundabout at the heavily traveled intersection of Four Oâclock Road and Park Avenue in Breckenridge. 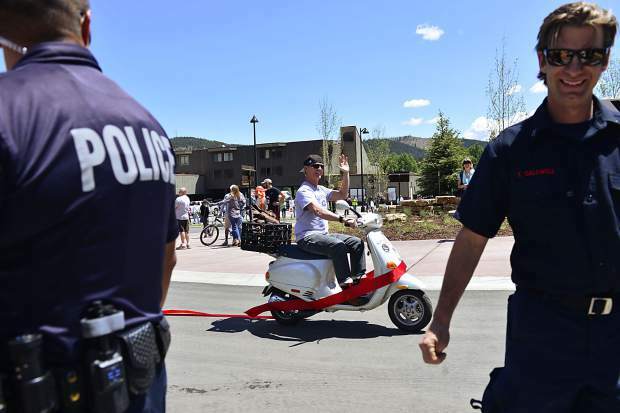 Breckenridge Councilman Jeffrey Bergeron couldnât wait for the countdown as he jumps the gun and drives a scooter through the new roundabout at Park Avenue and Four Oâclock Road on Friday in Breckenridge. State Rep. Millie Hamner takes a spin around the new Four O'clock Roundabout in Breckenridge after a ribbon-cutting ceremony to open the busy Breckenridge intersection on Friday. Breckenridge Councilwoman Wendy Wolfe gets ready to drive through one of four ribbons in her car as she prepares to take a trip around the new Four Oâclock Roundabout on Friday in Breckenridge. Wolfe was one of a handful of elected officials who spoke before cutting ribbons to officially reopen the busy intersection. 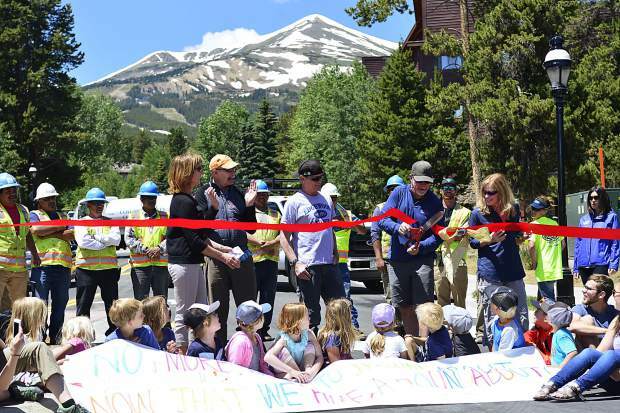 With children from the Mountain Top Children's Museum seated in front of him, Breckenridge Mayor Eric Mamula cuts a ribbon on Friday to officially reopen the intersection of Park Avenue and Four O'clock Road. 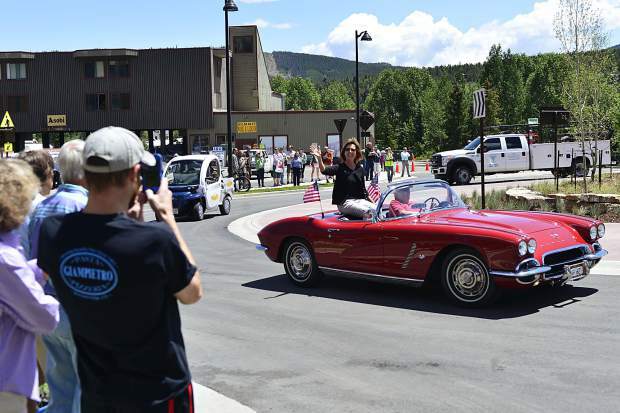 The busy intersection reopened with a new roundabout just in time for the Fourth of July festivities in Breckenridge, and in addition to Mamula, state Rep. Millie Hamner and Councilwoman Wendy Wolfe spoke at the ceremony.